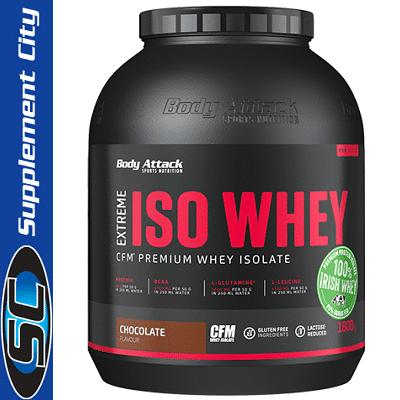 Body Attack Extreme Iso Whey is extremely rich in valuable whey proteins. Per serving (50 g powder in 250 ml water) it delivers around 44 g protein from whey proteins, just 2 g carbohydrates and around 0.5 g fat. With the new CORE ATTACK FILTRATION TECHNOLOGY the amio acid compositon and amount, the taste and the solubility could even be more improved. 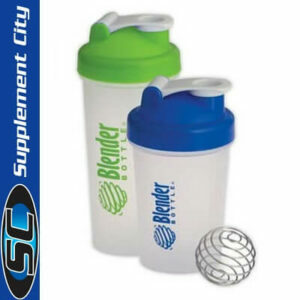 Body Attack Extreme ISO Whey is a protein product made from biologically top-quality whey proteins. Weight-training and endurance sports both place a heavy demand on muscles. For this reason, it is necessary to increase protein intake through daily diet. 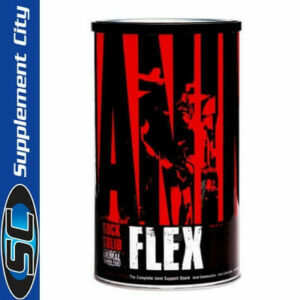 The whey isolate prevents a shortfall of protein following training, thereby ensuring growth and maintenance of healthy muscle mass. At the same time, healthy bone structures can be preserved. In addition to casein, whey protein is the main protein in milk. 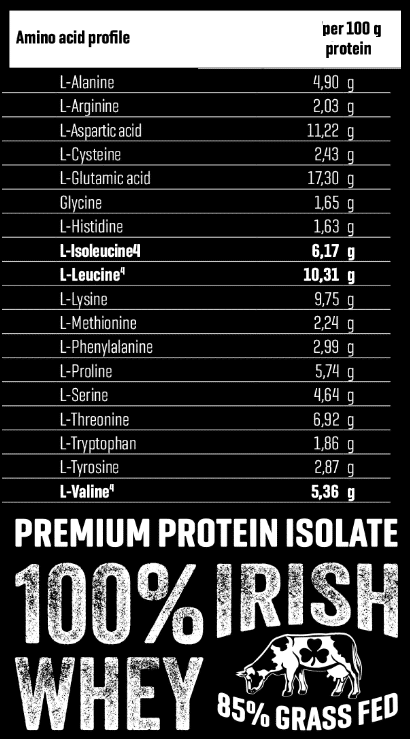 Of all sources of protein, whey has the highest biological value. This means that it can be best converted into the body´s own proteins. Furthermore, Extreme ISO Whey by Body Attack contains CFM Whey isolate which is produced by the patented Cross Flow Microfiltration (CFM). CFM counts to the best protein production processes. Thus, CFM whey protein isolate possesses the highest protein content of all types of whey proteins whilst at the same time having minimal fat, carbohydrate and lactose content. 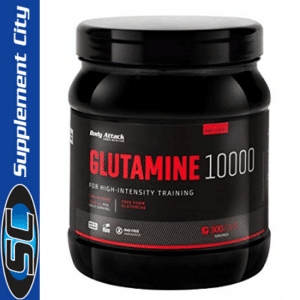 One serving of Body Attack Extreme Whey (mixed with water) contains around 9.7 g BCAA, which are also known as branched chain amino acids L-Leucine, L-Valine and L-Isoleucine.They are among the essential amino acids that the body cannot synthesise by itself. This is why they should not be missing in the daily diet.